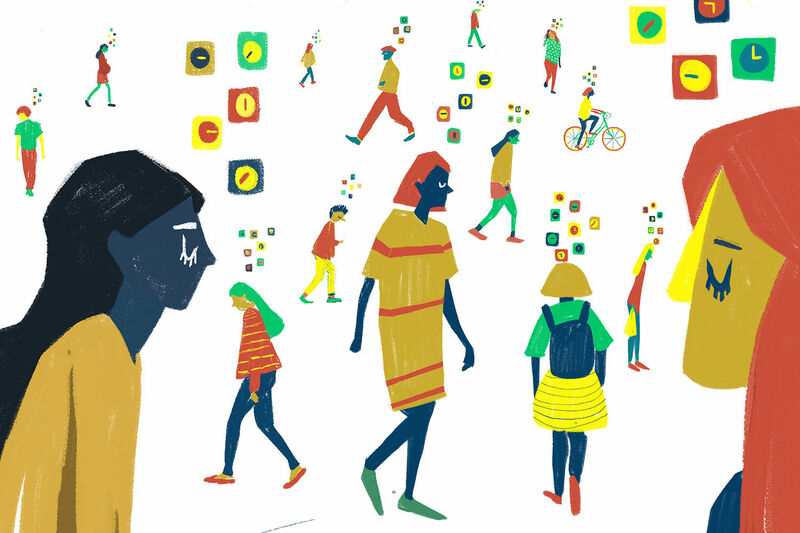 Alongside her animation, Not Enough Time﻿, Catarina Rao Vieira produced this artwork. Last night, these creators of these animated films picked up their RSA Student Awards at a ceremony at the The Royal Society of Arts in London. The egg-shaped awards were presented by Clive Grinyer, head of service design at Barclays (and previously co-founder of Tangerine with a pre-Apple Jonny Ive). 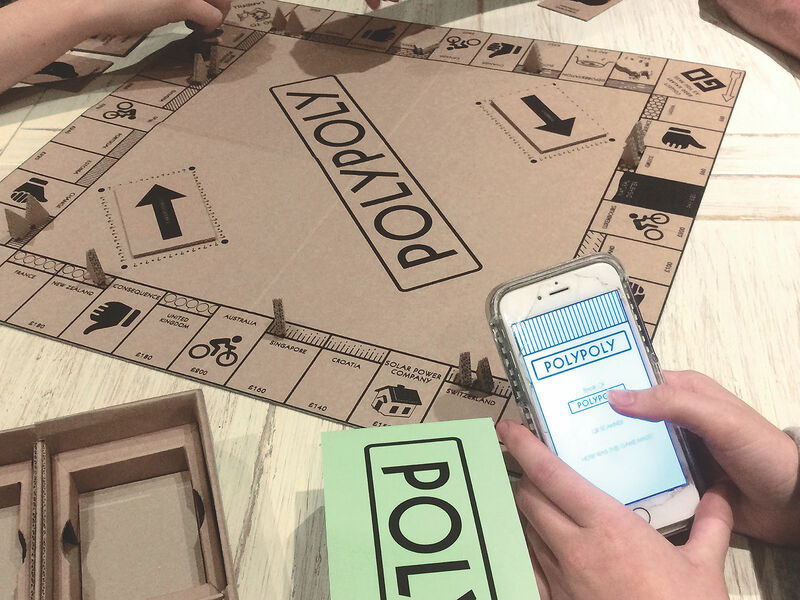 The RSA Student Design Awards covers a wide range of disciplines, considering design in its broadest sense – asking students to solve real-world problems such as helping you get a good night's sleep or redesigning a consumer toy to reduce waste. The one entirely digital category is the Moving Pictures Award for short animations created to one of two briefs. This year's briefs were to create animations based on 60-second clips of speakers from events hosted at the RSA's grand base in central London. The first was by author and founder of peer coaching for women, The Cru, Tiffany Dufu. In it, she talks about women not having enough time for all of the things in the day they believe they have to do, and the impact this has on them. The second has journalist Matthew D'Ancona discussing 'post-truth' politics and how politician can guide society back to a place of trust. I was one of the judges of the Moving Pictures category, alongside Abi Stephenson and Mairi Ryan from the RSA, Ali Assaf from animation agency Cognitive Media, filmmaker Paul Wyatt and Susie Hewson, founder of the category's sponsor Natracare (and a graphic designer in a previous career). We whittled down the 115 entries from 32 institutions to a shortlist of nine, from which we selected four winners – two RSA Awards winners, which came with a prize of £1,000, and two joint winners of the Natracare Award, sharing £1,000. Surprisingly, all of the winners were on graphic design courses that included animation and illustration within them, rather than specialised animation degrees – and perhaps that shows through in the clarity of ideas portrayed. This animation, Not Enough Time – based on the clip of Tiffany Dufu speaking – by Catarina Rao Vieira from Middlesex University took one of the RSA Awards. It was also given an award by the RSA Staff, netting Catarina an additional £500. It's a bright, eye-catching film with a charming, child-like style that manages to build up the intensity to reflect how overwhelmed the women portrayed feel – without being unpleasant to watch. There's a visual inventiveness that especially apparent in the rotoscoped 'walking around' segment. Catarina also produced the above and below artworks, which would work well as posters or postcards. This design duo from Edinburgh Napier University created a film based on the clip of Matthew D'Ancona's talk about 'post-truth' politics that's packed with visual metaphors that are exceptionally well conceived and executed. The use of water-based figures and the interplay between the hands were especially impactful. Arts University Bournemouth new grad Grant's animation for the Matthew D'Ancona clip combined a whole host of cyberpunk-esque styles and techniques to illustrate the different elements within the speech. You can see a clip below. A fellow Bournemouth student, Max's accomplished short film – also using Matthew D'Ancona's audio – is set entirely inside Twitter. Other categories included Working Well, Sleep Matters, Fair Play, The Hygenic Home, Fair Finance For All, Eat.Share.Live and Wearing Intelligence 2.0. I was especially impressed with the winner of the Marketing Trust Award for the Fair Play brief, Shannon Williamson from Sheffield Hallam University. 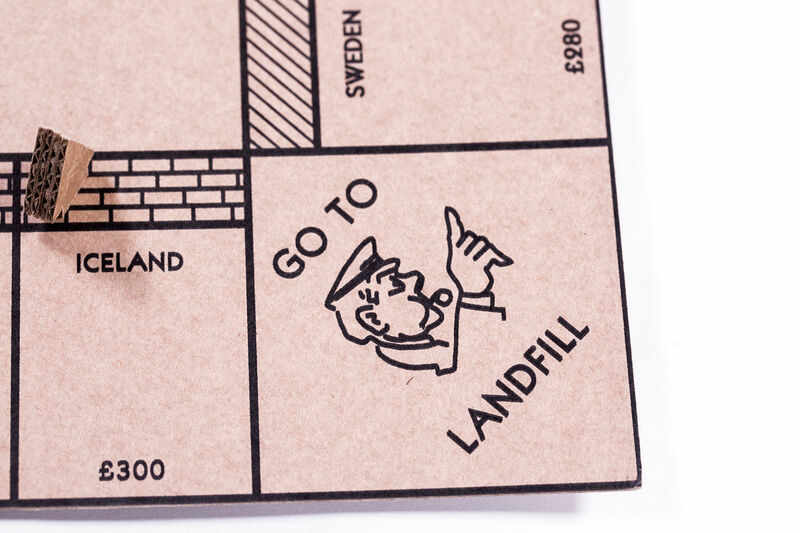 PolyPoly is a version of the Monopoly board game, created by recycling the cardboard from the original game itself, but with an environmentally conscious message.